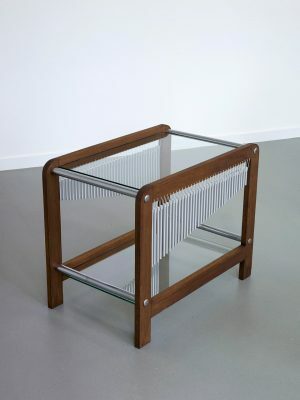 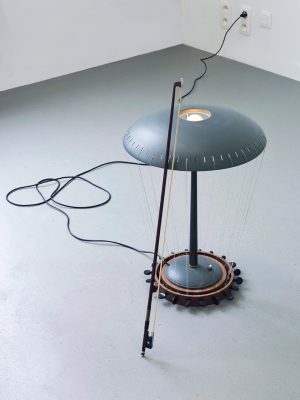 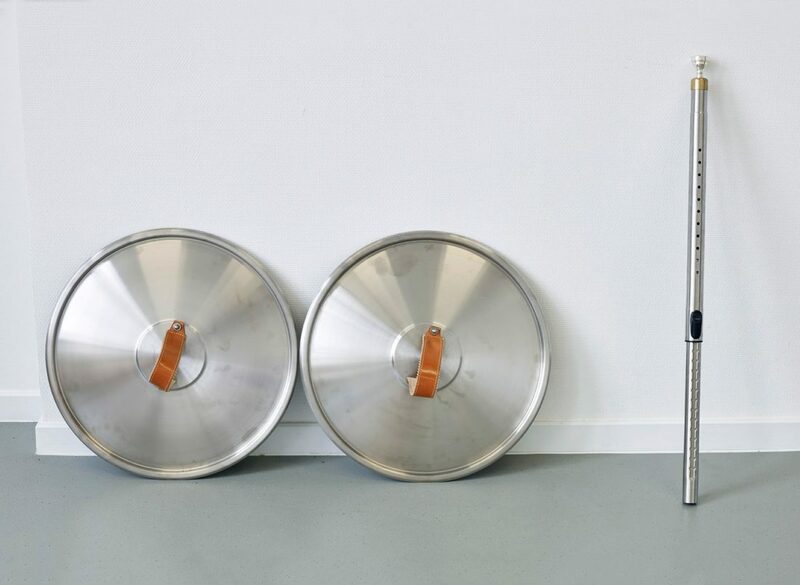 Quotidian household objects and furniture are converted into sculptural musical instruments to transform into a music room. 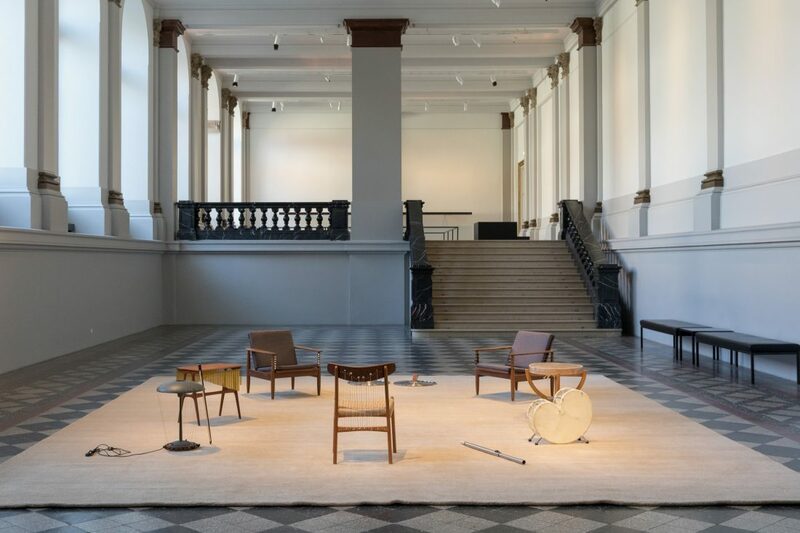 The artist is inspired by the music rooms, which originated in Europe in the 16th and 17th centuries to accommodate recreational musical events in private homes and palatial residences and had an important role among larger cultural and social changes of the era. 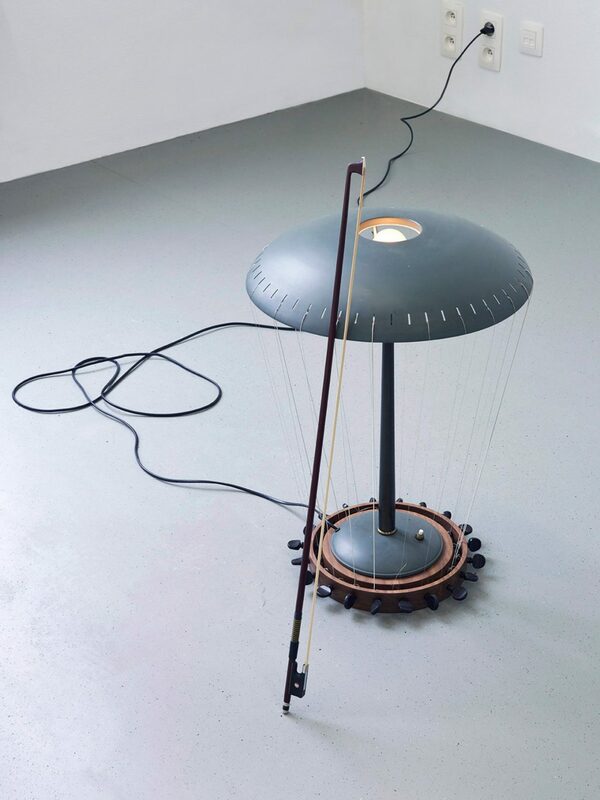 In Music Room various domestic objects are transformed into percussion and string instruments. 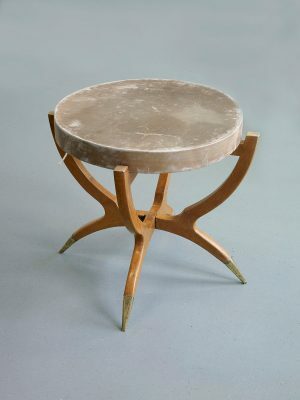 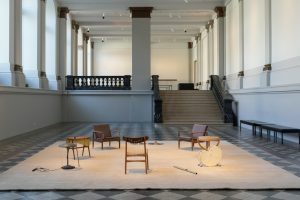 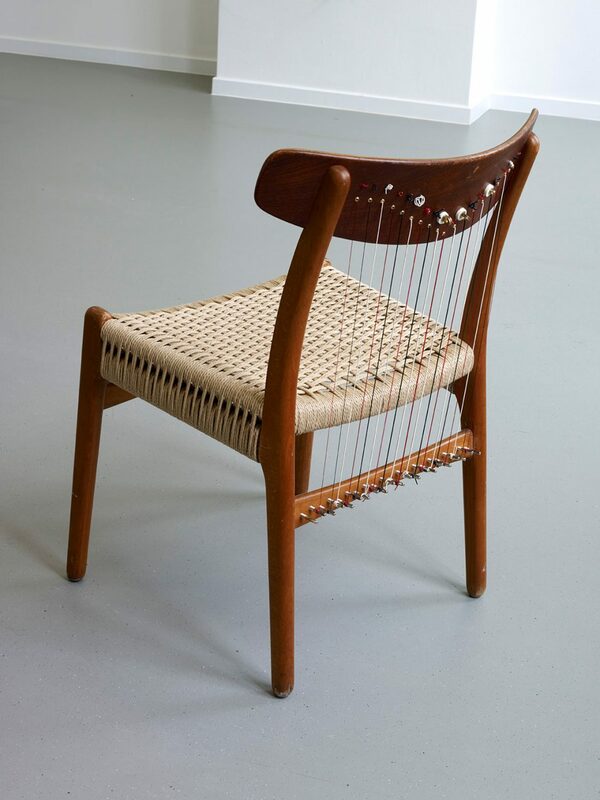 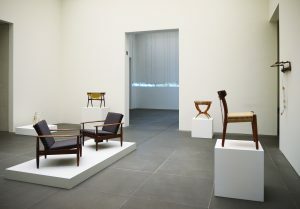 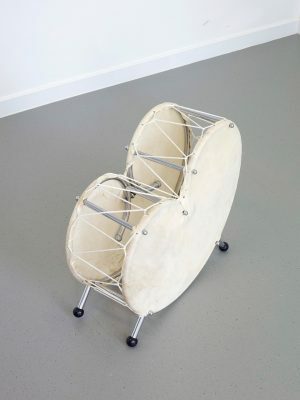 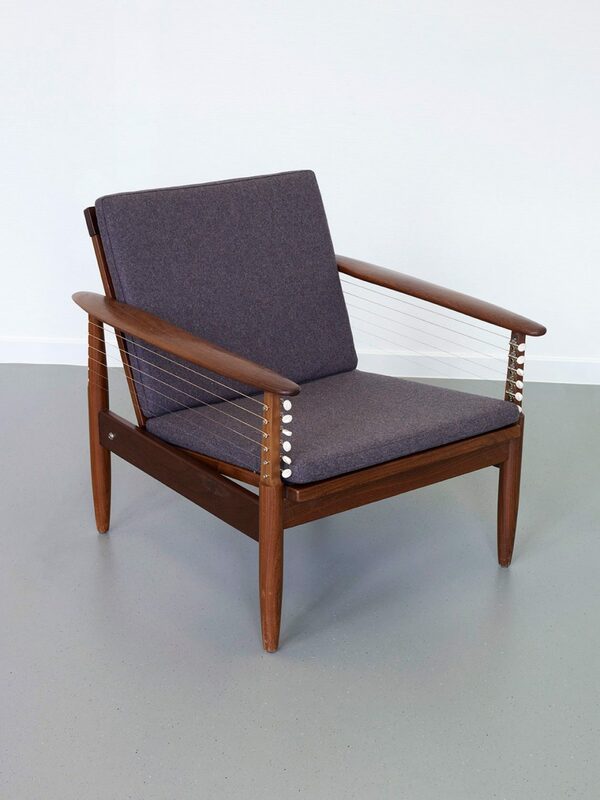 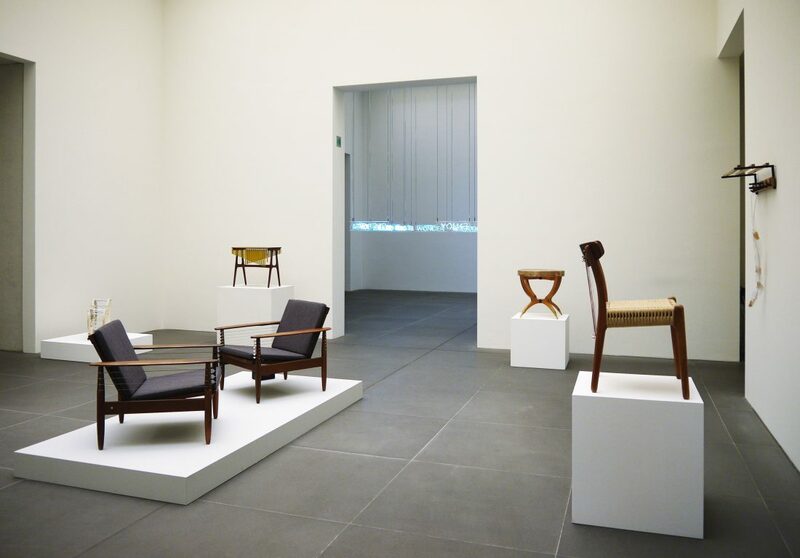 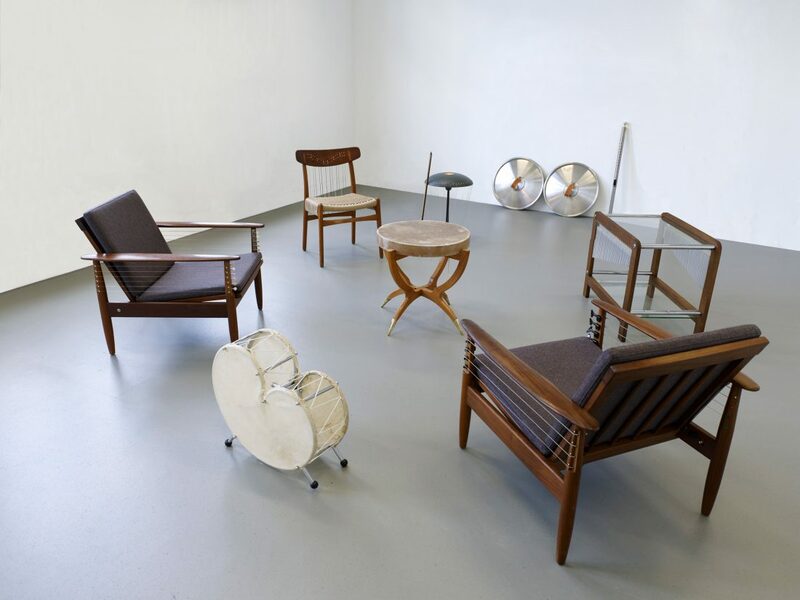 A chair in scandinavian design is converted into a harp with original harp strings but in another order as usual, a table made in Italy in the 40s or 50s is covered with a piece of drum skin, two armchairs are made into electric guitars, one bass guitar, and one electric guitar, etc. 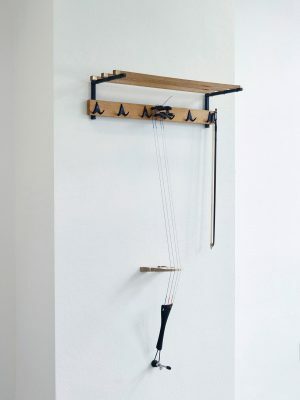 Whilst Music Room hints at the possibility of an improvised performance session by people who randomly meet at the same place and time, it also embodies the experiential potential of creating an assemblage whose members have had the chance to harmonize with each other during a given time.